Excited about the new Air Fryer you got for Christmas and want to test it out with the perfect dish? Sam Dillard, author of THE “I LOVE MY AIR FRYER” KETO DIET RECIPE BOOK, shares a keto-friendly Crispy Brussels Sprouts Recipe to try! 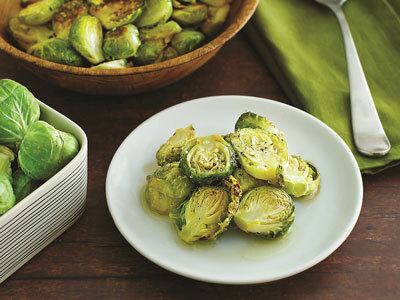 Get ready to cook some Brussels sprouts your kids will be excited about eating! They’re rich in nutrients, including heart-healthy omega-3 fatty acids. This version is a complete reversal of the bland and boring Brussels sprouts you grew up eating! Remove all loose leaves from Brussels sprouts and cut each in half. Drizzle sprouts with coconut oil and place into the air fryer basket. Adjust the temperature to 400°F and set the timer for 10 minutes. You may want to gently stir halfway through the cooking time, depending on how they are beginning to brown. When completely cooked, they should be tender with darker caramelized spots. Remove from fryer basket and drizzle with melted butter. Serve immediately. 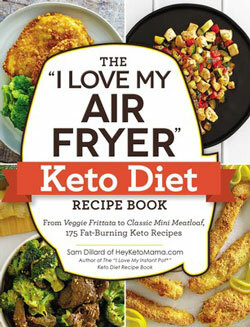 Excerpted from THE “I LOVE MY AIR FRYER” KETO DIET RECIPE BOOK by Sam Dillard. Copyright © 2019 by author. Used by permission of the publisher. All rights reserved.